Our product range includes a wide range of frp square shape counter flow cooling tower, frp round shape counter flow cooling tower and frp cross flow induced draught cooling tower. 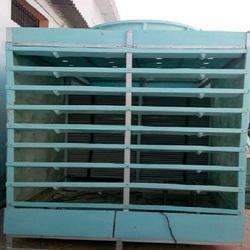 Keeping in view the precised needs and requirements of the industry, we are instrumental in presenting a huge collection of FRP Square Shape Counter Flow Cooling Tower. Keeping in view the varied needs of our patrons, we deliver these products in numerous sizes, dimensions and specifications to choose from. Additionally, our clients can purchase these from us at leading industry rates. 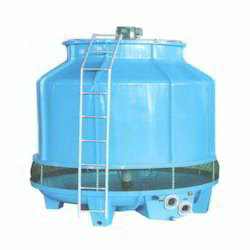 Being one of the emerging companies of the business industry, we have brought forth an extensive collection of FRP Round Shape Counter Flow Cooling Tower . Acknowledged and admired for their dimensional accuracy, seamless finish, high strength and rigid structure, these offered products are widely accepted. Moreover, we are delivering these at the destination of our customers by packing them in top class packing material. Keeping in view the precised needs and requirements of the industry, we are instrumental in presenting a huge collection of FRP Cros Flow Induced Draught Cooling Tower. Keeping in view the varied needs of our patrons, we deliver these products in numerous sizes, dimensions and specifications to choose from. Additionally, our clients can purchase these from us at leading industry rates.